Guatemala is a generally mountainous country. 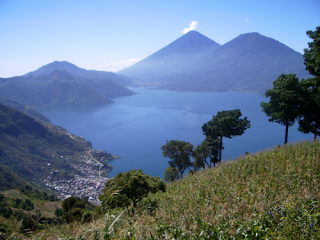 Two mountain chains enter Guatemala from west to east, dividing the country into three major regions: the highlands, where the mountains are located; the Pacific coast, south of the mountains; and the north of the mountains. All major cities are located in the highlands and Pacific coast regions. These three regions vary in climate, elevation, and landscape, providing dramatic contrasts between hot and humid tropical lowlands and colder and drier highland peaks. Volcán Tajumulco, at 4,220 meters, is the highest point in the Central American states. The Tikal National Park, a landmark of the Mayan culture, is an UNESCO World Heritage Site. Guatemala is a country of distinct fauna. It has some 1246 known species. Guatemala is worldwide known as a biodiversity hotspot. The nation debuted in Miss World back in 1976 and no contestant have ever reached the semifinals. Ana Lucía Mazariegos Florentino won the Miss Mundo Guatemala 2010 title last summer and will try to become Guatemala's first semifinalist at the world's greatest beauty contest. 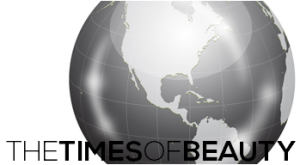 TimesOfBeauty.com proudly presents Miss Mundo Guatemala 2010 in an exclusive interview for our series Meet the Misses. My name is Ana Lucía Mazariegos, I have 19 years, studying clinical psychology and I am a classical dancer. I have a tenacious personality, I am a quiet person and very observant, I have ability to adapt to the groups with whom I interact and make new friends, I have much affinity with children and the elderly people, I am moved easily. Guatemala is a country full of cultural landscapes and microclimates that makes it unique in the world. In the human aspect of ethnic diversity we so different languages are spoken by region, with Spanish being the most talked officially. The city where I live now is full of contrasts because maybe you can still enjoy nature and keep up with current technology without losing the human essence. It is an honor, because I have the opportunity to do something good for Guatemala and a personal challenge and I want to bring the first world title to my country. I have had training in various areas in my country and I had the opportunity to travel to Venezuela to strengthen and get very competitive at the event. I've also been actively involved in social causes, which has given me better perspective on the reality of life. Sensible (sensitive) I am moved easily to local circumstances of others, especially those that can not change. I see myself done professionally, working on what I like and in constant growth. Being poor and intelligent, would have the opportunity to reverse the circumstances and change things to work on my behalf, while the money runs out if you do not have the intelligence to manage it while beauty is subjective and each woman has something beautiful in our reflected inside and outside. Aldo Castañeda a cardiologist well known worldwide for his contributions to heart surgery especially with children. Social breakdown caused by the loss of moral values because little or no family communication. Parents should have more quality time for their children and share with them to know them and support them in developing their skills, while respecting their good decisions. The beauty queens are intelligent, know about all kinds of subjects and have our own opinion, the difference is not what we think but we can interpret as specific groups, so that in some cases we must maintain caution to avoid creating unnecessary conflict. Personally I hope to experience the fullest, to share with different cultures, take every opportunity without harming anyone and of course fight cleanly through the first crown for Guatemala, keeping feet on the ground. I have not the pleasure of meeting all those who have been winning, so it would be unfair to appoint someone specific. In the 60 years of the pageant, I would like to return the title to Latin America after 6 years. This phrase is one that always caught my attention because we have the opportunity to engage in real social problems of our countries. The most satisfying thing is to bring even a smile or a glimmer of hope to some people, through our national title. You have to fight for what you dream, never give up and try it again. Never stop trying even if something seems impossible. Personal Motto: "THE LIFE IS AMAZING THAT MADE THIS MOMENT AND EVERY TIME YOU HAVE SOMETHING WONDERFUL"
Giovanni Guzmán, from Belleza Guatemala S.A.